Это где это так круто? Viewed from the end of Runway 23R at Manchester Airport. 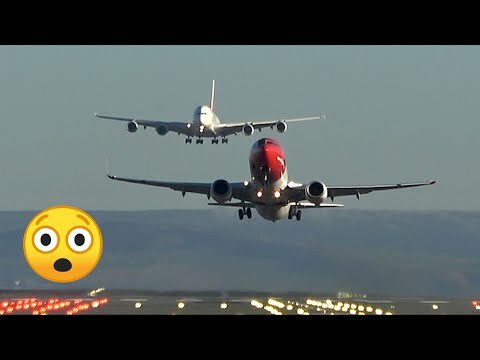 Emirates A380 on final approach with a Norwegian B737 departing.